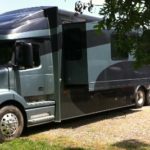 Cahall Brothers Racing Grows 50 Percent! 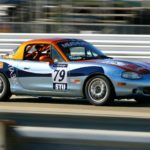 Larry Cahall got his Regional and then National SCCA Club Racing licenses last year and competed in the Mid-Atlantic Road Racing Series (MARRS) with Ted. 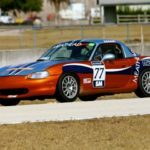 Ted has been racing competitively (or not so competitively depending on who you ask) for two years now and raced in the SCCA Club Racing National Championships last September. Ted also finished 10th in net points and 8th in raw points for the MARRS series last year. If shear lack of fear and injury make a great racer, Bob will be beating Ted fairly soon. Since skill matters, it may take a few races. This is why Ted will not lend Bob one of his cars. Lack of fear plus lack of skill often equals bent metal. Judging from his childhood, Bob can take a good hit though and still keep ticking. More to come as Bob completes racing school and the Cahall Brothers Racing team joins the field in April for MARRS 1. My parents are likely rolling in their graves (very near the Nelson Ledges track in Ohio btw). At least we are getting along and working as a team now. 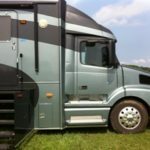 Author Ted CahallPosted on March 12, 2011 Categories Road RacingLeave a comment on Cahall Brothers Racing Grows 50 Percent!